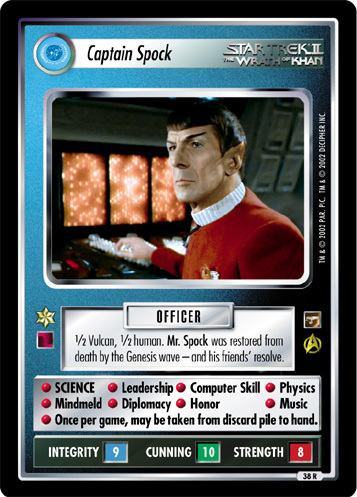 1/2 Vulcan, 1/2 human. 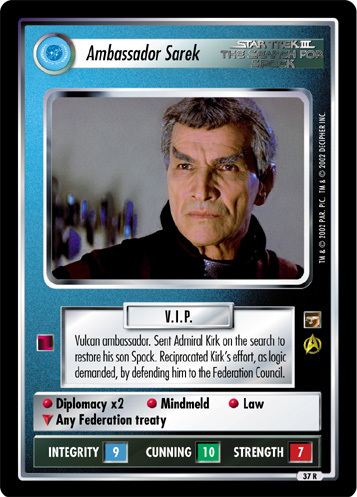 Mr. Spock was restored from death by the Genesis wave - and his friends' resolve. 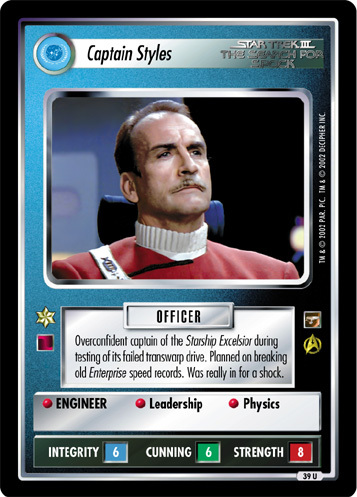 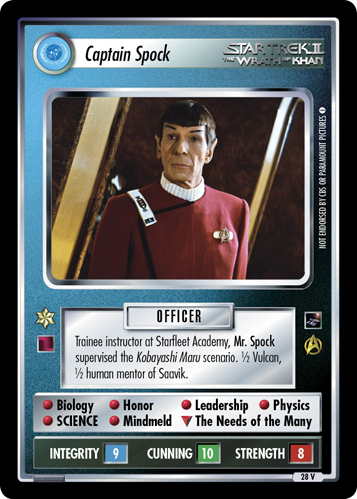 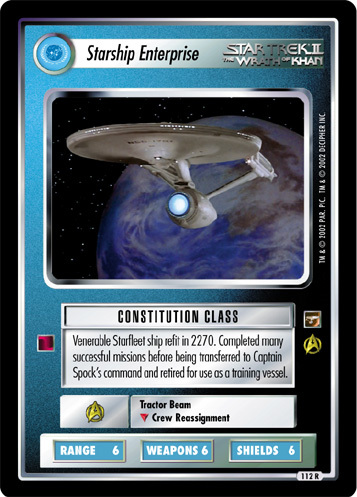 • SCIENCE • Leadership • Computer Skill • Physics • Mindmeld • Diplomacy • Honor • Music • Once per game, may be taken from discard pile to hand.